Parents and caregivers can pre-enrol pupils using the school code ‘3234’ at https://enrol.etap.co.nz. You can inform the school at any time of your intention to enrol your child at Wakefield School, however before your child’s 3rd birthday is ideal. Wakefield School learner profile and school values. Letter advising of visit times and the name of the teacher and number of the classroom your child will be entering. Welcome letter from the Junior Syndicate Leader. National vision and hearing screening in school information. Wakefield School excursion top order form. Fine motor control – some ideas. Letter cues – laminated sheet. Forming letters – beginning points and directions of movement – laminated sheet. Learning – the Wakefield way – booklet. E Tu – Making things right – restorative practice card. Verification of your child’s date of birth – either a copy of the birth certificate or passport. Please bring this documentation with you on your child’s first preschool visit. We are happy to make copies of any of these documents for you. Nelson Marlborough District Health Board (NMDHB) Form. Education Outside the Classroom Permissions Form (EOTC). Cyber Safety and Permission to Publish Work Form. 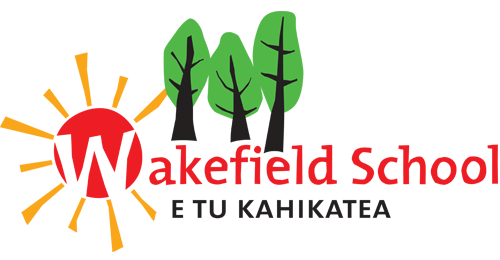 Any foreign student entering New Zealand and wishing to enrol at Wakefield School must supply verification documents. These may include a valid student visa/permit or parent’s passport with a valid work permit. Get in touch to discuss enrolling your child at Wakefield School.